The Art Bikers didn't want to wait for school to let out to do art with the Halifax community, so we went to the schools! We visited Ms. Perry's grade 10 art class at Halifax West on June 1st to make a graphic novel with one imaginative page from every member of the class. On June 11th and 13th, we visited Ms. Kennedy's grade 3/4 split class at Sir Charles Tupper, and created large-scale 3-D dioramas of four different habitats, complete with collaborative made-up animals to live in them! Then on June 19th we got to spend the whole day with Ms. MacMichael's grade 2/3 split class at Hawthorn. We put on a play, complete with writing the story, making costumes and props, choosing roles, and learning a dance for the end! 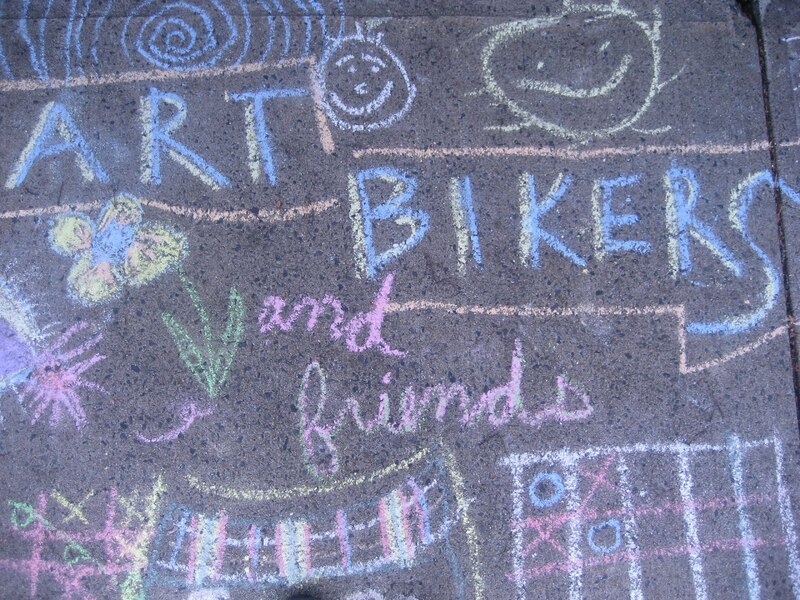 The Art Bikers are looking forward to seeing everybody again around the HRM this summer!